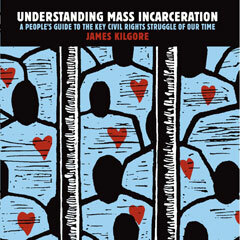 Truthout interviews author James Kilgore about the rise of mass incarceration, examining the social and political landscape as well as key policies. Read an excerpt from Understanding Mass Incarceration on Truthout. Author James Kilgore discusses the fundamental debates over rehab vs. punishment, privatization, 3-strikes, and more in an interview with Brian Lehrer. PW says that Kilgore "...makes a powerful call to reverse a cycle in which more people serve longer sentences with fewer opportunities to return to society."